I am so inspired and motivated by your creative projects and recipes every week. Thank you so much for sharing them with me! Please help this party grow by inviting your friends and also please be sure to follow me, I do repin and repost every link throughout the week. 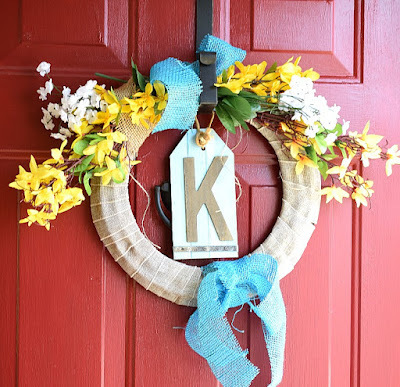 Mom Home Guide shared this qorgeous Spring Forsythia Wreath. I love the bright yellow blossoms and vibrant blue bow. Abbotts at Home created a DIY Reversible Sign for all Seasons. I love the versatility of being able to display it year round. What sweet little birds and rabbits that are paired with it for Spring. 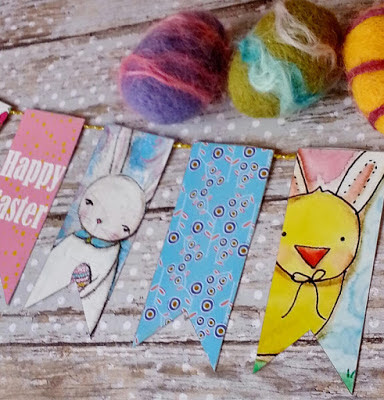 Hudson's Holidays showed us an adorable Easter Banner featuring bunnies and chicks. 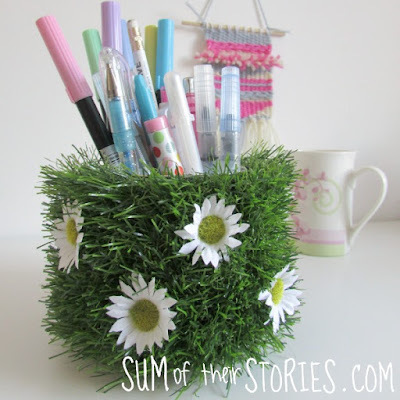 Check out this fun Upcycled Daisy Pen Pot from Sum of their Stories. It's cute, and functional! 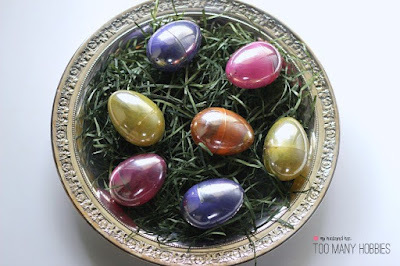 My Husband Has Too Many Hobbies showed us how to make these amazing Looking Glass Easter Eggs, (and it is much easier than it sounds!) So pretty! If you were featured be sure to grab the Featured Button from my Sidebar! 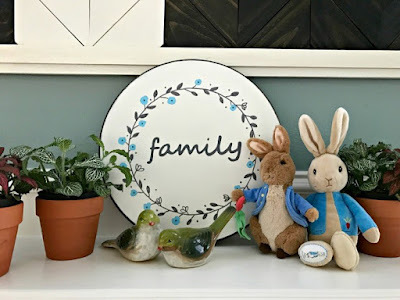 Julie, Thank you so much for hosting and for including my Looking Glass Easter Eggs in your features this week! 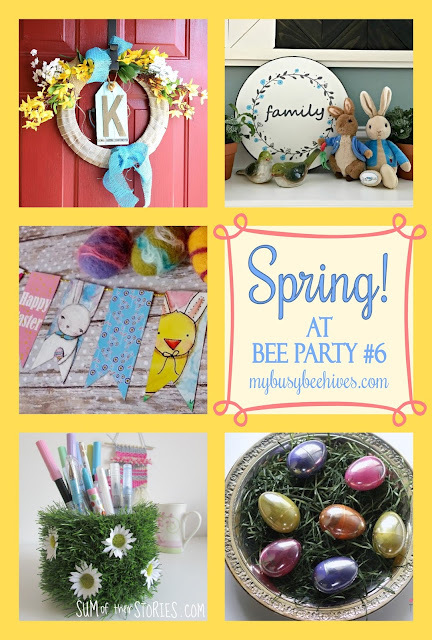 Thanks for featuring my Easter Banner!! Gotta check out the other features now! Thank you for coming and for always leaving a lovely message. Reading them are a highlight in my day! Thanks for the party, Julie! Hope you have a wonderful week. Thank you for coming! I hope to see you again! HI there! I am here from Home on the Corner! Thanks again for the invite! I am following you on Pinterest too. Thank you so much! Every little bit helps this party grow and I really appreciate it. I hope to see you again! Thanks for inviting me to your link party! I am so glad you made it! I hope to see you again and again!